A very popular Grace Goode miniature from Australia. 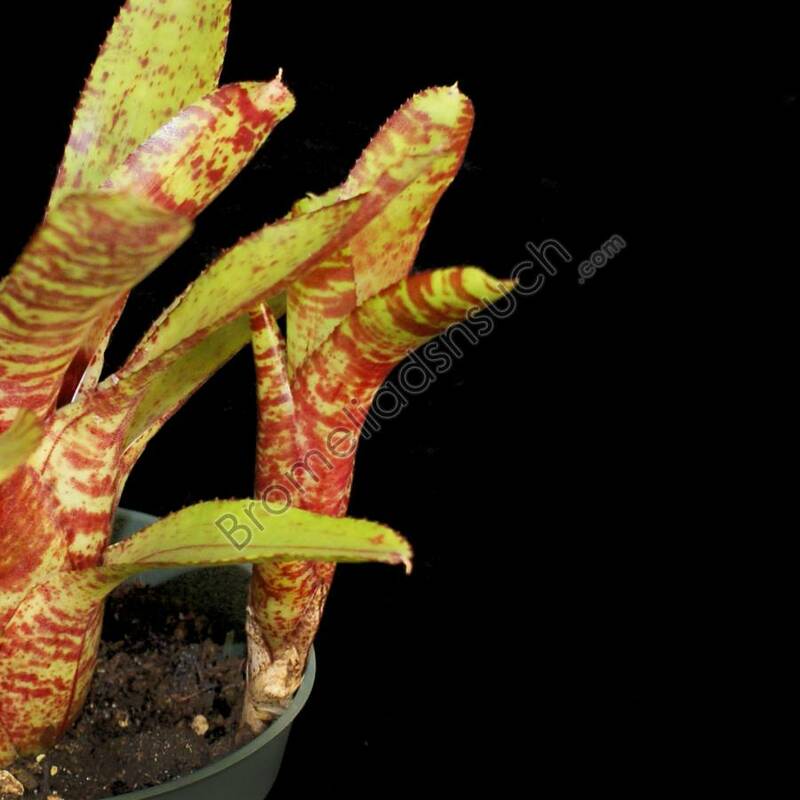 A compact attractive plant with dark red bands and markings on light green leaves, which get more red if grown in bright light. Just the perfect showy plant for any terrarium. 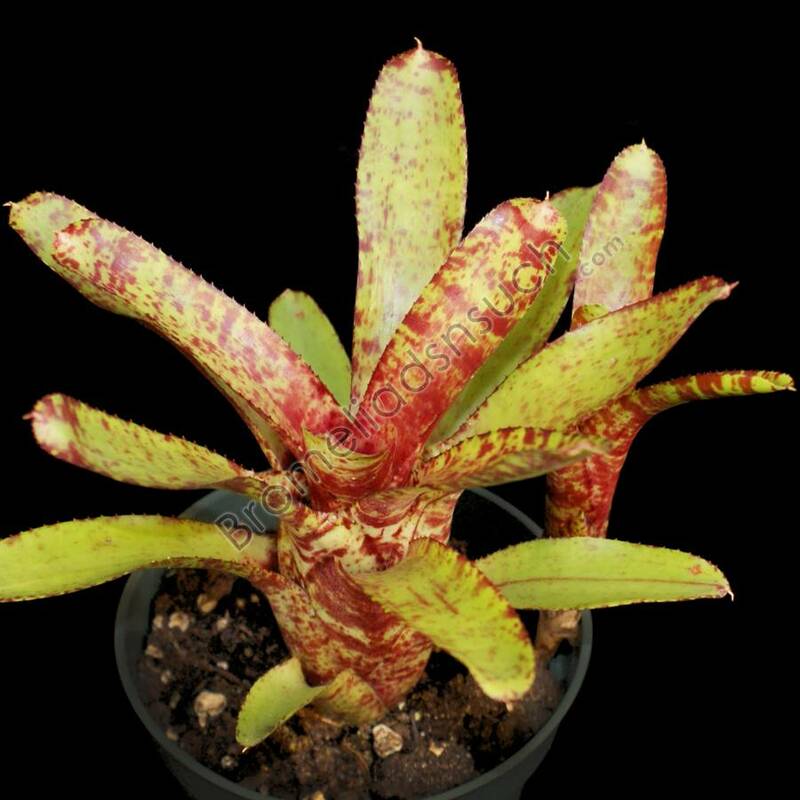 Neoregelia 'Tabby' is a very popular Grace Goode miniature from Australia. 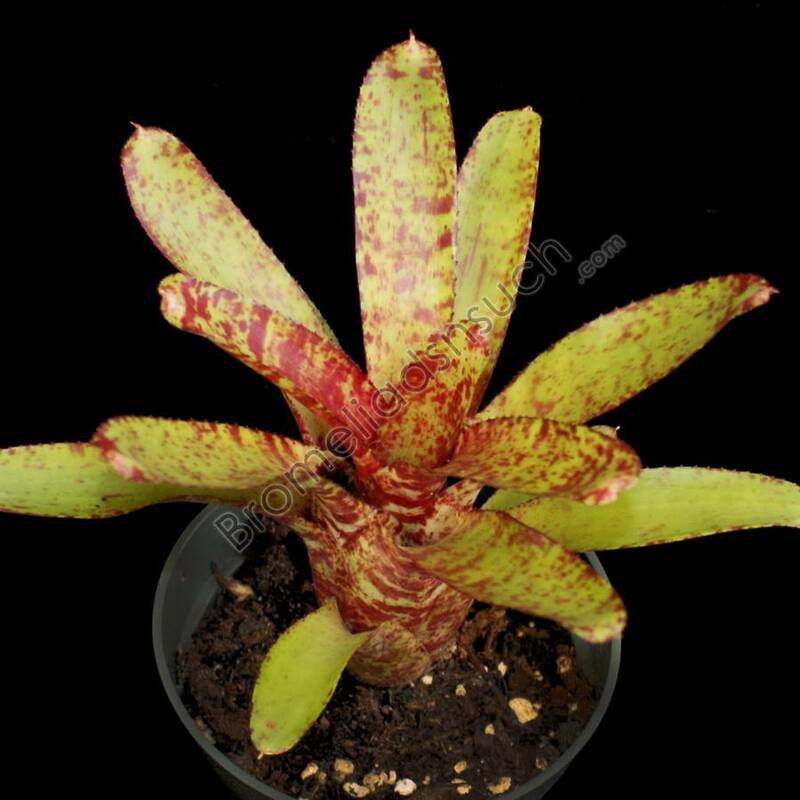 A compact attractive plant with dark red bands and markings on light green leaves, which get more red if grown in bright light. 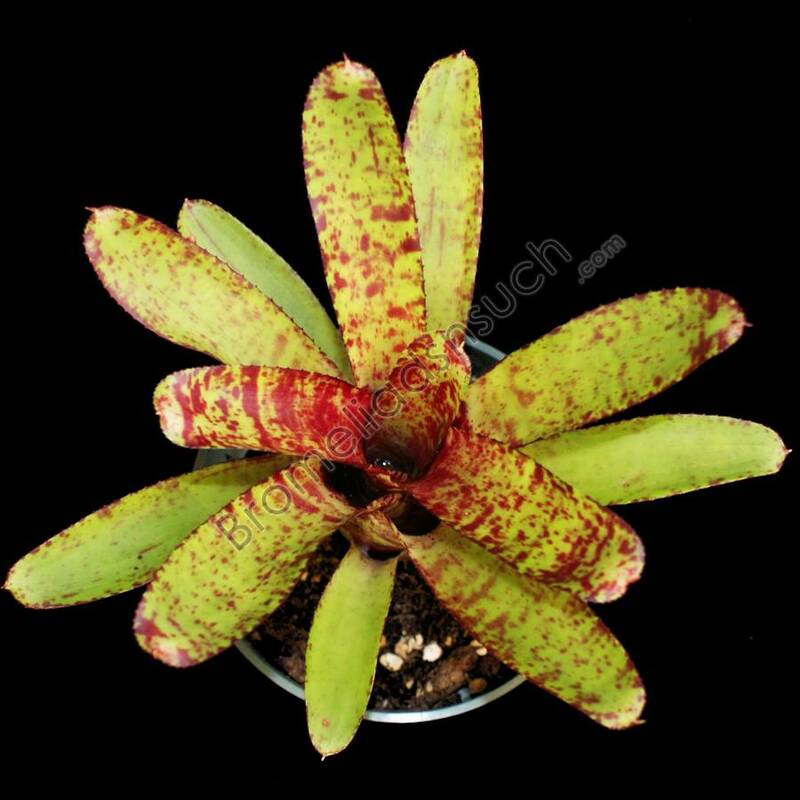 Just the perfect showy plant for any terrarium. Maximum Size: H:5" x W:5"